World War destruction and years of communist rule have done much to damage Poland’s heritage. Yet amazingly the ancient royal city of Krakow survives and with its medieval market square and Grand Cloth Hall, the city rivals the beauty of Prague and Vienna. School trips to Krakow are ideal for history students. This city is home to the Jewish quarter where Schindler’s List was filmed and perhaps more importantly, Auschwitz-Birkenau concentration camps. History students will be able to really understand the harsh realities of Nazi occupation, by learning of the horrors of WWII. Kazimierz is Krakow's former Jewish quarter which was made world famous thanks to Steven Spielberg's famous film, Schindler's List. 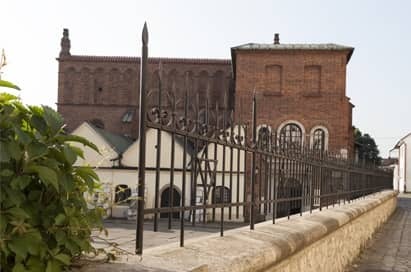 Pre World War II, Poland housed the largest Jewish community in Europe and Kazimierz is representative of this. it will enable students to retrace the history of Krakow's Jews, and see the remains of their culture here. The Wawel Royal Castle and Cathedral on Wawel Hill was built at the time of Casimir III the Great, who reigned from 1333 to 1370. It is the most historically and culturally important site in Poland. The castle is a combination of Medieval Romanesque, Renaissance styles all brought by different rulers and houses extremely valuable museum collections. The Cloth Hall in the Old Town Square was built in the 1550’s is one of the most distinctive sights in Krakow. Once the main focus of Krakow’s trade, the hall is still used today with stalls and shops on the ground floor. A great place to purchase trip souvenirs! Folklore Evening with Dinner, music and Dancing: Held in a cellar restaurant your students will experience an atmospheric evening enjoying traditional Polish cuisine accompanied by folklore music and dancing. Auschwitz was etched forever in the history books when it became the chosen site of the largest death camp in the Third Reich. Between 1.1 million and 1.5 million people were exterminated here as part of the Nazi Final Solution. 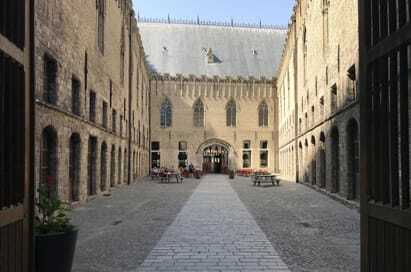 Visit the brick blocks where prisoners were kept, the infamous gas chambers and the crematorium. Although harrowing, this exhibition is thought provoking and poignant and arguably an essential visit for students no matter what they study. 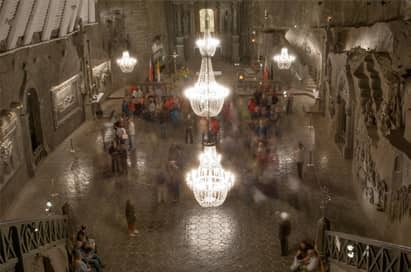 Wieliczka is one of the oldest salt mines in Europe, which has been working for over 700 years. The oldest part of the mine has been opened to the public as a museum. A tour of the mine takes in the galleries, chambers and chapels on three upper levels, between 64 and 135 metres below ground. All exposed figures and monuments are carved of salt. The high-light is the richly ornamented Chapel of Blessed Kings. Zakopane, the winter capital of Poland is located about 100km south of Krakow, close to the Slovak border and on the edge of the Tatra Mountains National Park. It has gradually evolved from a little village, to the region's primary health-resort and the undisputed winter capital of Poland. It is popular for activities such as skiing, mountaineering and tourism. 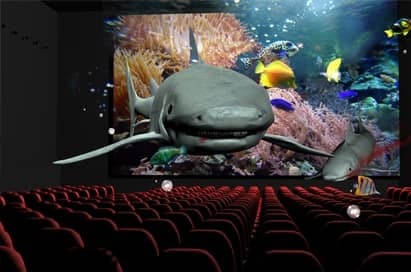 There is an IMAX theatre in Krakow as well as Water Park Wodny which is Polands biggest indoor aquapark and offers slides, flumes and wave pools. Both these visits are often booked after a visit to Auschwitz to offer your students some light relief.